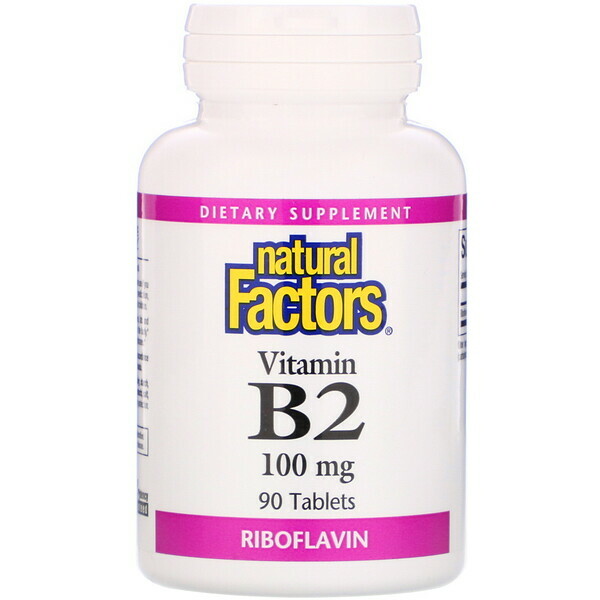 Riboflavin (vitamin B2) is essential to the metabolism of carbohydrates, fats and proteins, which contributes to an increased energy production level in the body. 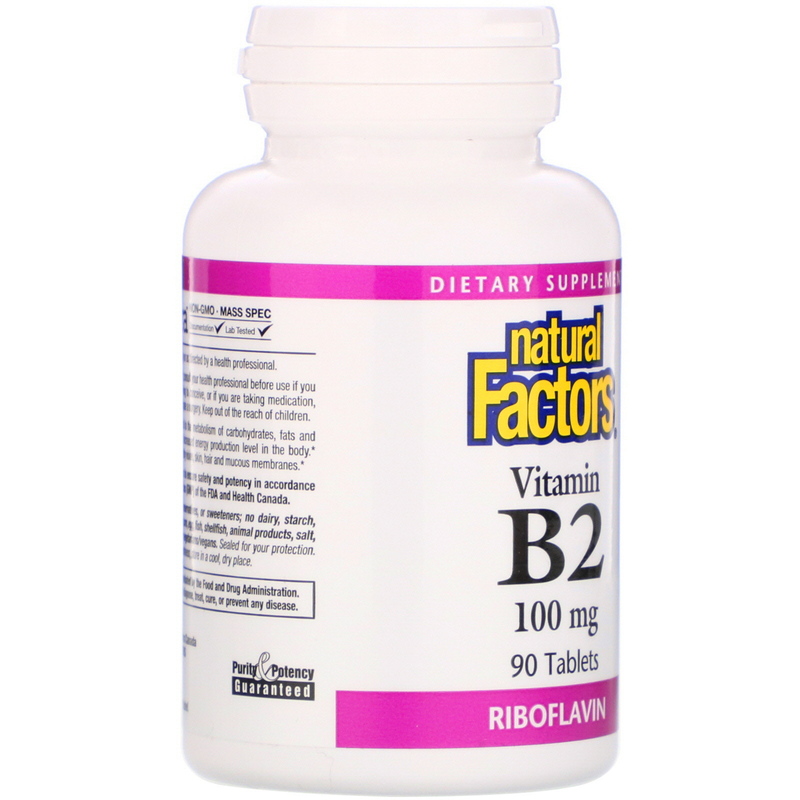 Riboflavin also helps maintain healthy vision, skin, hair and mucous membranes. 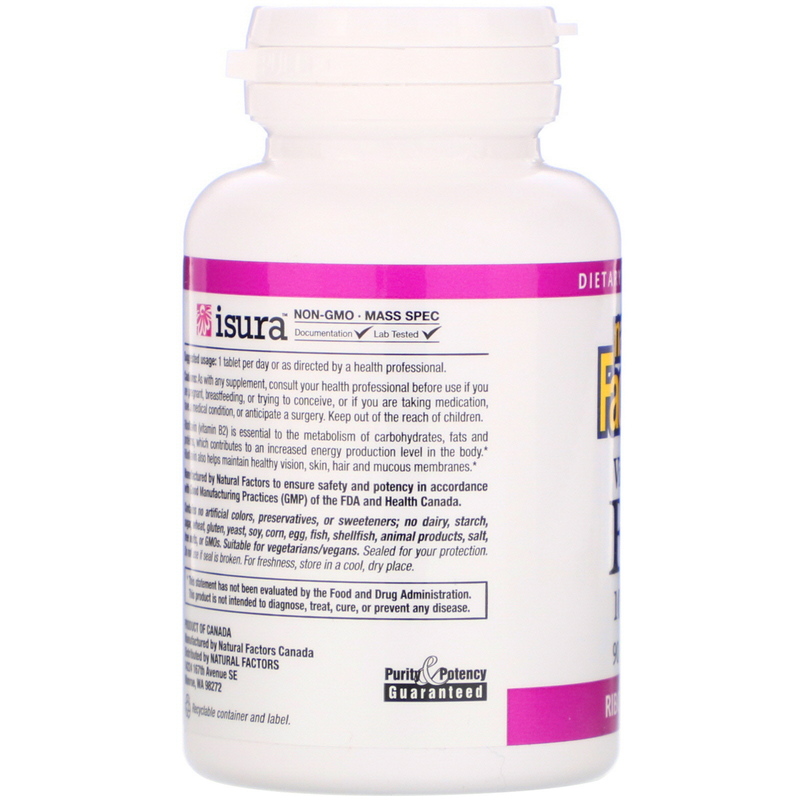 Microcrystalline cellulose, stearic acid, silica, coating (carbohydrate gum [cellulose], glycerin).